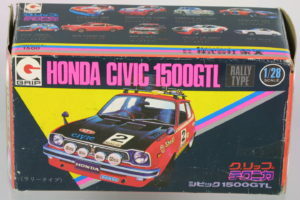 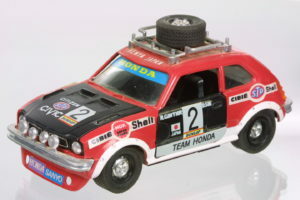 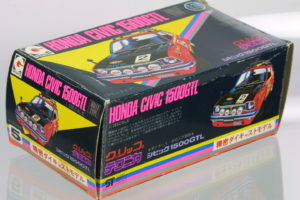 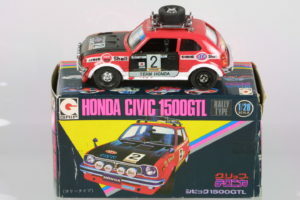 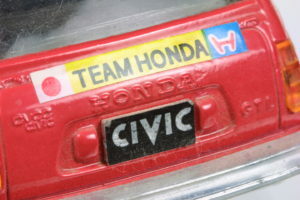 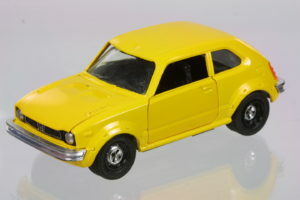 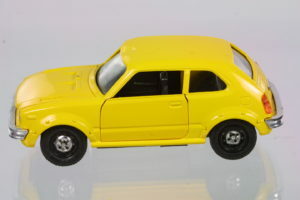 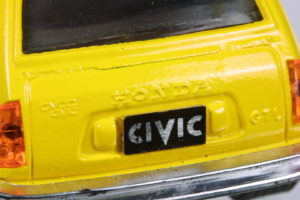 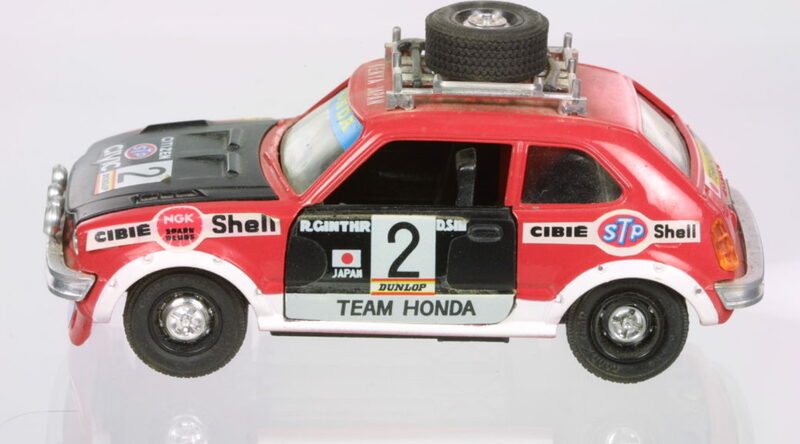 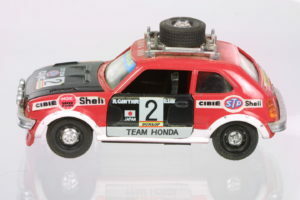 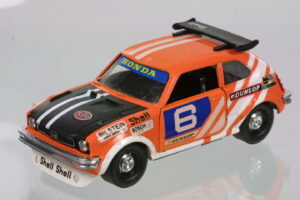 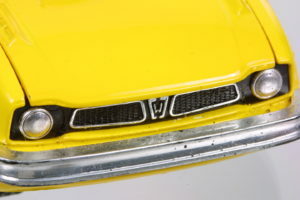 Here is an older Honda licensed model of a rally version 1977 Honda Civic Hatchback 1500 GLT in 1:24 from Grip. 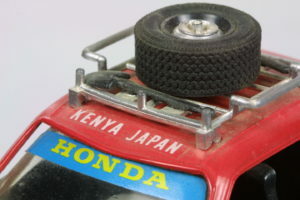 It is rare to find these in good condition as they were mainly used as toys. 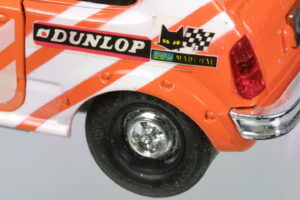 A rally with auxiliary lamps on the front bumper and a roof rack with a spare wheel/tire. 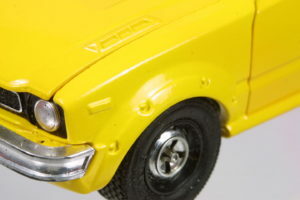 fender flares show detailed bolts while the wheels and hubcaps have great detail and contrast between the chrome center cap and the rest of the black wheels. 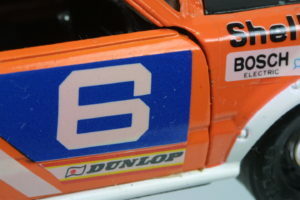 The decals and details are quite good for the era. 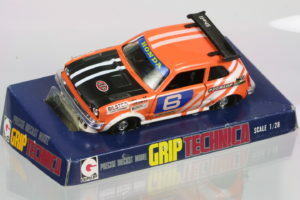 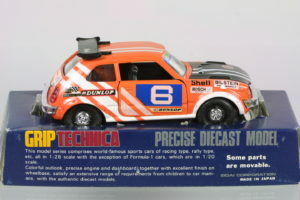 Here’s a rarer race version in orange in slightly different packaging. 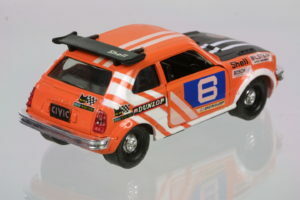 This time without the front auxiliary lamps and instead of the roof rack, this has a rear spoiler. 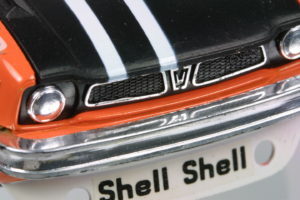 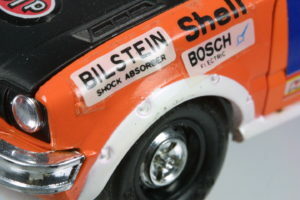 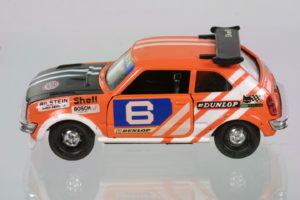 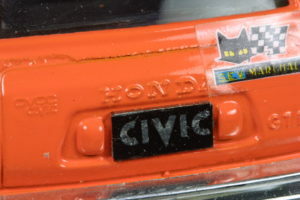 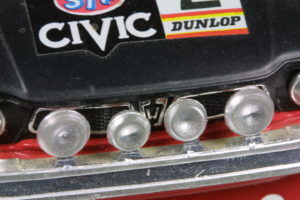 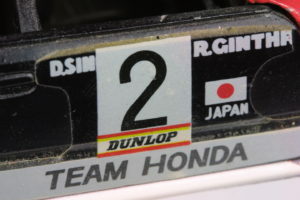 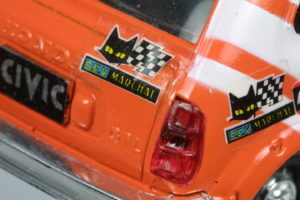 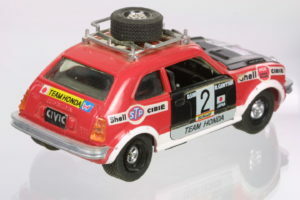 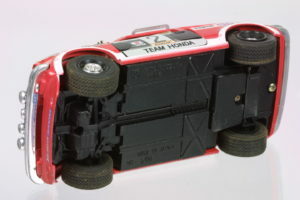 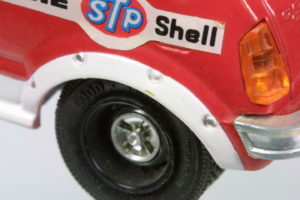 Similar details in casting and decals as the rally version. 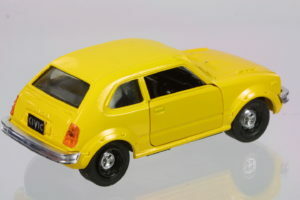 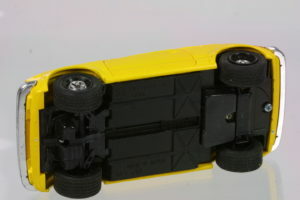 Here’s a street version but still with the fender flares – though painted body colors. 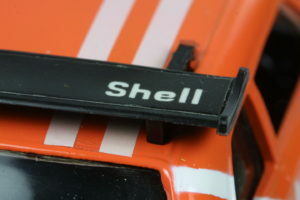 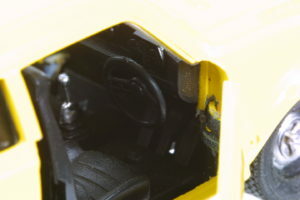 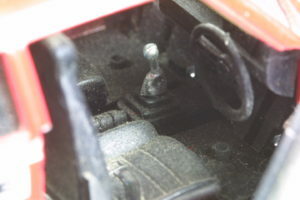 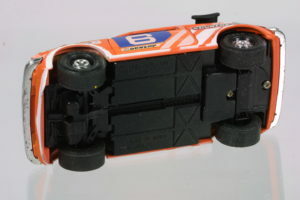 The street version does not have the extra parts but more interestingly, no signs of the extra holes for attaching the parts that were in the rally or race version.